To become a member complete the form below or to download the form to submit by mail or in person. Forms are also available in person at the Museum. The museum also accepts donations. A subscription to our quarterly newsletter with notices of upcoming events. Museum volunteers contribute to the maintenance of exhibits and collections and spend time assisting with children’s programs or clerical tasks that keep the Museum running. 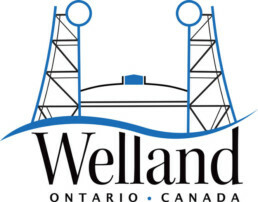 Volunteer your spare time to the Welland Museum! Please note that potential volunteers will be asked to pass a required security check and/or be interviewed beforehand. Please enter Start and Finish Date, Name of Employer, and Job Title. What are your primary interests and goals in volunteering with the Welland Museum? Do you have any relevant skills/qualifications/experience that you would like us to be aware of? Please note that volunteers may be requested to obtain a Criminal Record Check/Vulnerable Sector Check.